Koch Hazard Architects hosted a Downtown Scavenger Hunt as the kick-off event for Sioux Falls Design Week. Koch Hazard Architects hosted an event for Sioux Falls Design Week in October. 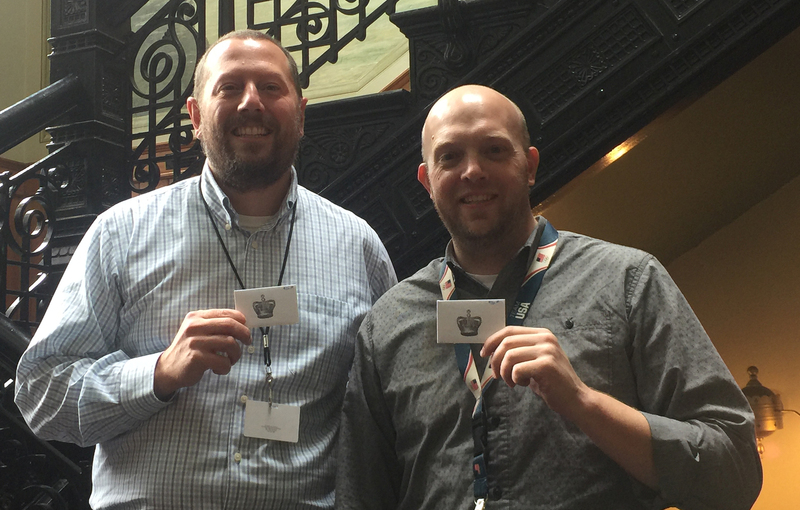 This year, KHA hosted a Downtown Scavenger Hunt. Participants were required to decipher clues and take a selfie from a specific viewpoint once they reached the clue destination. Adam and Kevin, from the Siouxland Heritage Museum, were the winners guessing all 16 clues and capturing all 16 selfies from the correct viewpoint in 34 minutes. They each received a $20 gift card to Queen City Bakery. 12 teams participated. Sioux Falls Design Week is hosted by the Sioux Falls Design Center. The Sioux Falls Design Center is a non-profit organization hoping to build connections among diverse people and organizations interested in design in Sioux Falls and South Dakota. The main objective of the SFDC is to build connections in the community that are focused, involved or otherwise interested in design. This includes planners, architects, interior designers, engineers, landscape architects, artists, community leaders, and the greater public.